A classic flat thong perfect for the lake house. Leather straps with a gold metal ring which rests nicely on the top of your foot. Stacked block heel. Rubber sole. Imported. Measurements: Heel Height: 1 2 in Weight: 6 oz Product measurements were taken using size 6.5, width M. Please note that measurements may vary by size. Weight of footwear is based on single item, not the pair. The sporty Jeremy sandal offers a modern take on a classic summer style. Supple leather upper with adjustable hook-and-loop instep closure for easy on/off. 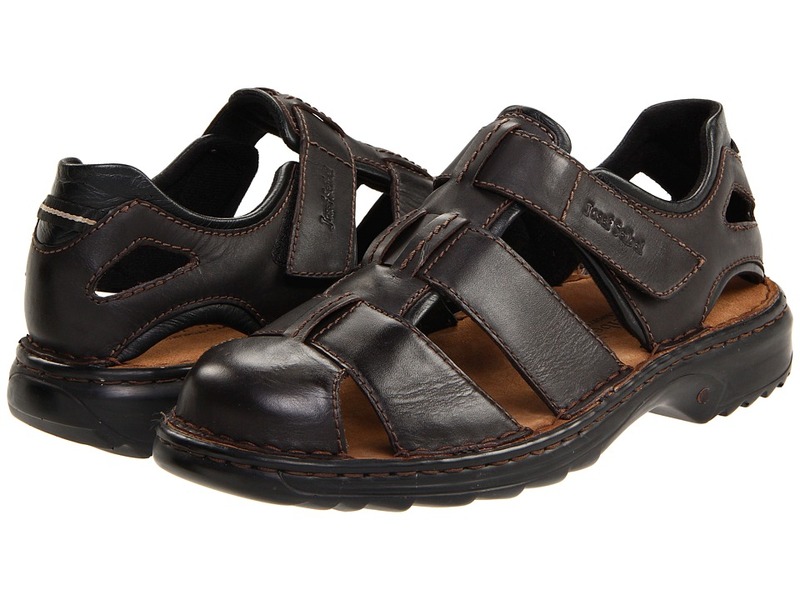 Leather-lined footbed provides cushioning and support for all-day wear. Shock-absorbing polyurethane outsole provides lightweight durability and traction. Imported. Measurements: Weight: 12 oz Product measurements were taken using size 44 (US Men~s 10.5), width M. Please note that measurements may vary by size. Weight of footwear is based on a single item, not a pair. The Newport is the foundation of the Keen footwear line. Designed with outdoor play in mind, the Newport H2 provides the comfort and protection young feet need for land and water activities. Quick-drying polyester web upper. Hydrophobic mesh lining. Cushioned EVA footbed provides all-day comfort. Treated with AEGIS Microbe Shield&amp#174 antimicrobial technology that helps prevent odor, staining and deterioration. Hook-and-loop closure with adjustable cord lock lacing system ensure a secure fit and easy on/off. 3M Reflective pull tabs provide added visibility during night time adventures. 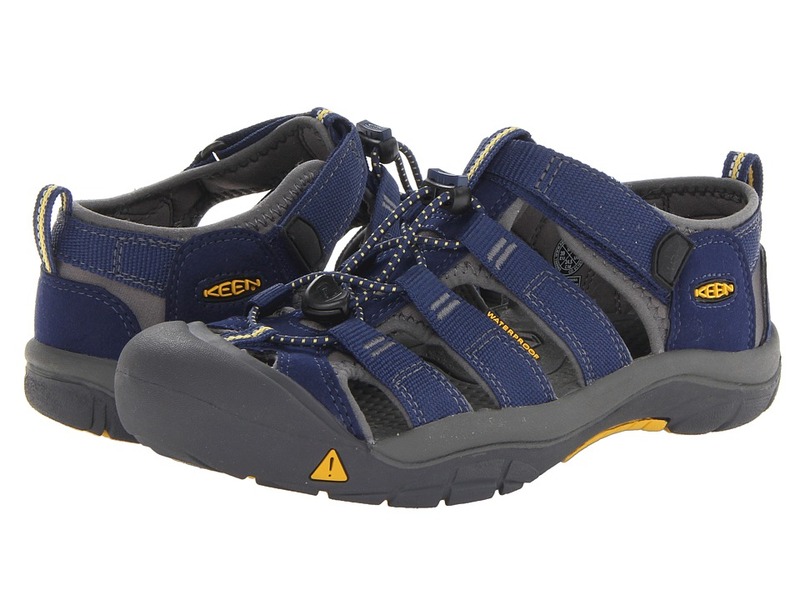 KEEN.PROTECT&amp#8482 patented toe protection. Grippy, non-marking rubber outsole ensures traction on wet or dry surfaces. Gently brush with a soft, damp sponge to remove loose dirt and restore surface. Measurements: Weight: 8 oz Product measurements were taken using size 2 Little Kid, width M. Please note that measurements may vary by size. Weight of footwear is based on a single item, not a pair. The Mikael is from the Naot Scandinavian Collection, which runs as a Medium width. 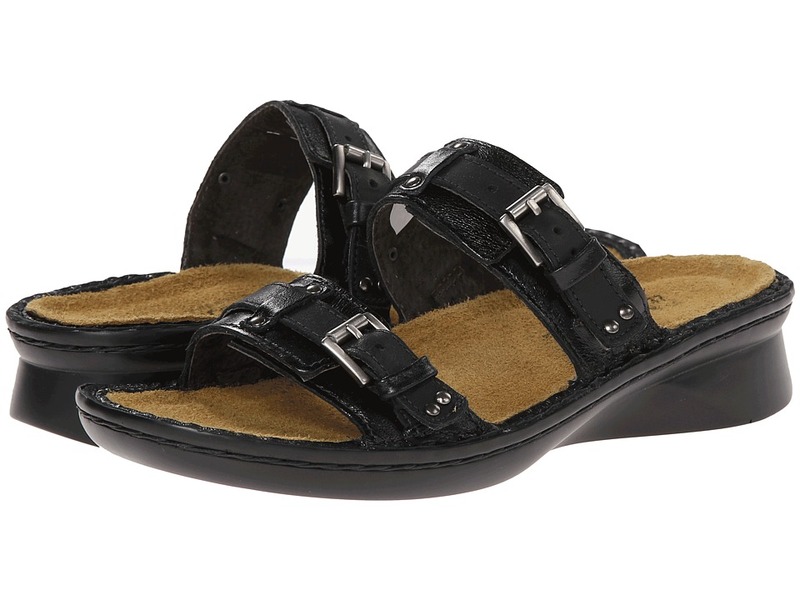 Escape to the great outdoors or relax in casual comfort in this versatile sandal. Soft, natural leather upper offers breathable wear and easy maintenance. Fully adjustable instep straps allow for a secure, personal fit. Removable, suede-covered footbed absorbs moisture to keep your feet dry and fresh. Cork and latex midsole offers support and cushioning for all-day wear. Flexible rubber, polyurethane, and latex sole provides durability and slip-resistant traction. Measurements: Weight: 1 lb Product measurements were taken using size 47 (US Men~s 14), width M. Please note that measurements may vary by size. Weight of footwear is based on a single item, not a pair. Please note: Footbed style will vary depending on the color you choose. 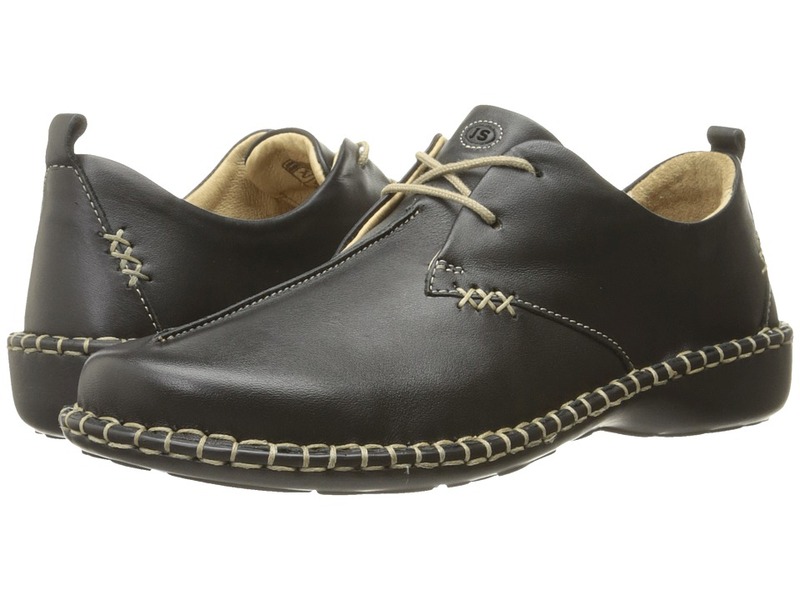 &amp#8226The Finn Comfort&amp#174 Classic footbed has a firmer feel. 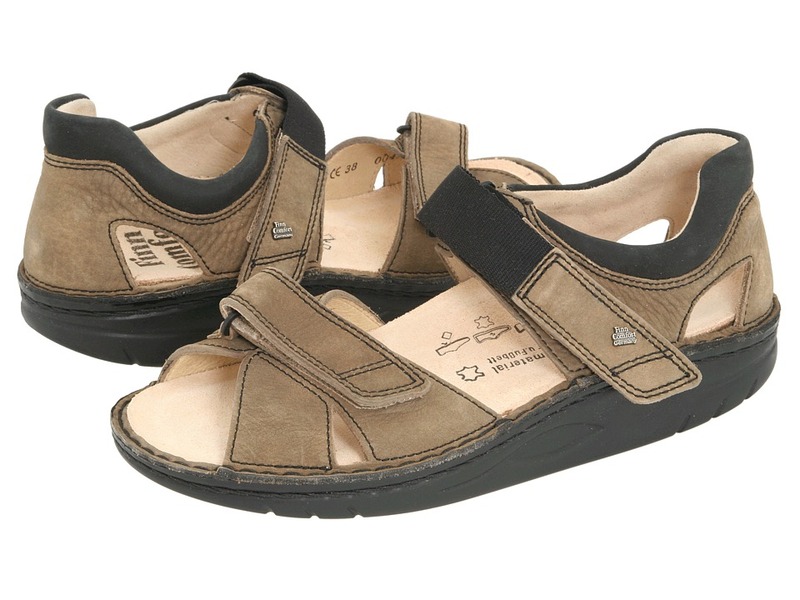 &amp#8226The Finn Comfort&amp#174 Soft footbed provides a cloud-like feel. 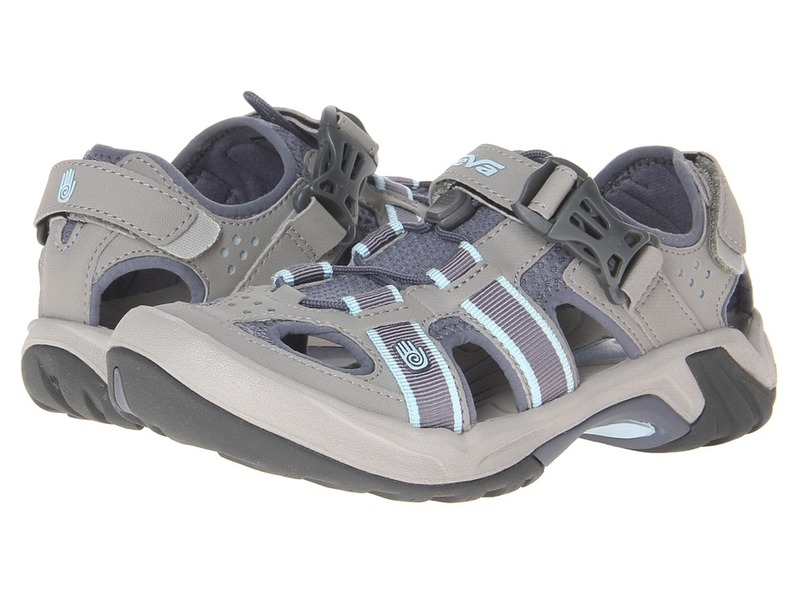 Even with sensitive feet, you can walk around and enjoy your day in carefree comfort. Numerous unique features allow perfect foot support without any pressure whatsoever. Finn Comfort footwear ensures a secure fit, strong hold and encourages a natural rolling of the feet - for greater walking pleasure. 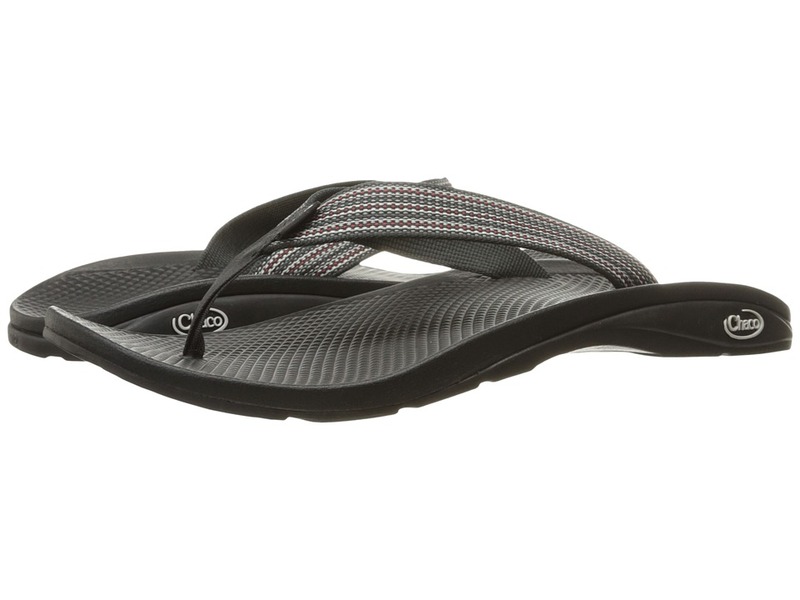 Your feet will be full-functioning and fashionable in these comfy Phuket - 2533 thong sandals from Finn Comfort&amp#174. Leather upper with an adjustable hook-and-loop strap across the vamp for custom fit. Stylish toe buckle can be adjusted, too to accommodate various instep heights. Removable, hand-washable soft comfort footbed provides cushioning and support. Flexible, lightweight, and shock-absorbing polyurethane outsole offers durable dependability. Made in Germany. Measurements: Heel Height: 1 1 2 in Weight: 11 oz Product measurements were taken using size 38 (US Women~s 7.5-8), width Medium. Please note that measurements may vary by size. Weight of footwear is based on single item, not the pair. What a great combination! This pack includes Tip Toes and Killer Kushionz for those killer shoes. Tip Toes help cushion the balls of your feet. Killer Kushionz are a full insole that can be worn with open toe shoes and sandals. Killer Kushionz combine the comfort and style of Tip Toes with a full arch and heel support. Foot Petals products are made from PORON performance urethanes which help stop friction, prevent blisters and calluses from forming. Footpetals also protects bones and tissue while offering superior comfort. Package includes: 3 pair Tip Toes and 3 pair Killer Kushionz. Make your gorgeous shoes instantly more comfortable with Foot Petals Killer Kushionz and Heavenly Heelz. Killer Kushionz are full insoles that provide cushion at the toe, full arch and heel support and can be worn with open toe shoes and sandals. Heavenly Heelz keep heels from slipping out of shoes and ultimately make for a perfect fit. Footpetals products are made from PORON performance urethanes, which help stop friction and prevent blisters and calluses from forming. Footpetals also protect bones and tissue while offering superior comfort. Package includes: 3 pair Killer Kushionz and 3 pair Heavenly Heelz. Imported. 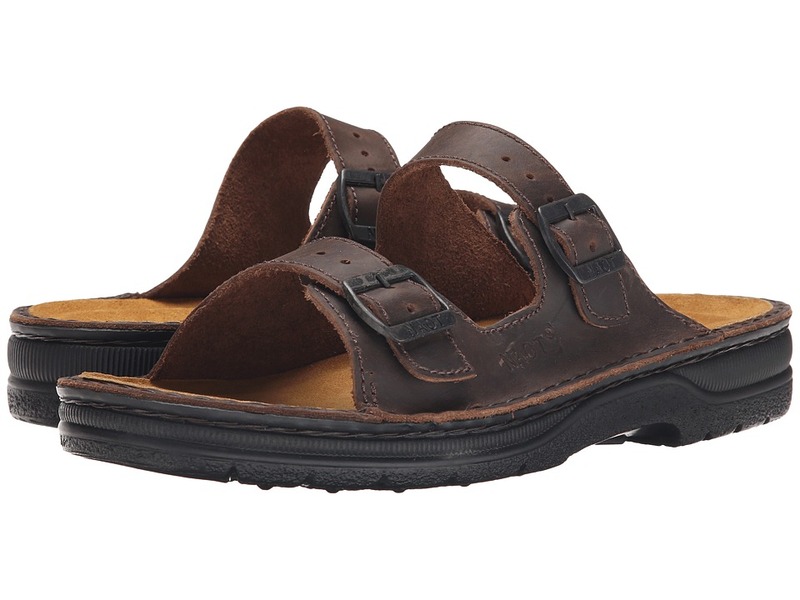 Please click for the Josef Seibel footwear size guide. The Lindsay 2 is an attractive lace-up from Josef Seibel&amp#174. Vegetable-tanned leather upper with laces and heel pull-tab for a secure fit. The handsewn upper is Double Lock Stitched, meaning it will not fray apart if you have a loose stitch. Leather lining wicks away moisture to help keep the foot feeling cool and dry. Cushioned footbed provides support and all-day comfort. Anatomically-correct polyurethane outsole delivers great arch support, shock absorption, and flexibility. Measurements: Heel Height: 1 2 in Weight: 8 oz Product measurements were taken using size 39 (US Women~s 8-8.5), width M. Please note that measurements may vary by size. Weight of footwear is based on single item, not the pair. 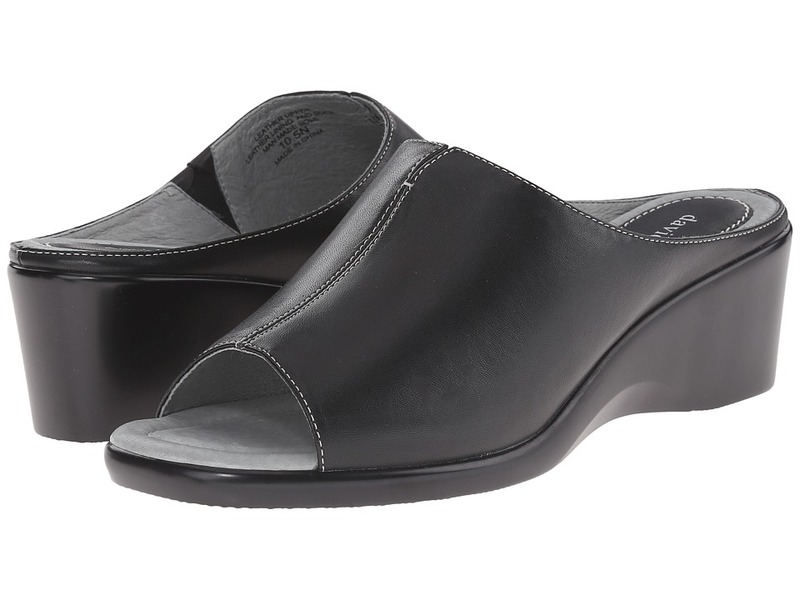 The Samara - 1560 features the Finn Comfort&amp#174 Soft footbed which provides a cloud-like feel. Even with sensitive feet, you can walk around and enjoy your day in carefree comfort. Numerous unique features allow perfect foot support without any pressure whatsoever. Finn Comfort footwear ensures a secure fit, strong hold and encourages a natural rolling of the feet - for greater walking pleasure. Take each step in total comfort in the attractive Samara sandal. Finnamic construction includes rockered forefoot and heel sections for a smooth, natural heel-to-toe rolling motion creates the Ultimate Stability Rocker Shoe. Rich leather upper with adjustable hook-and-loop instep straps for a secure, personal fit. Organically-tanned suede insole lining absorbs moisture for a healthy foot environment. Anatomical heel cup cradles and support the foot and increases stability. Contoured midfoot, medial, and lateral arch supports for all-day wear. Removable, hand-washable cork and latex insole base offers healthy support to reduce foot fatigue. Feather-light polyurethane outsole provides flexibility and maximum shock absorption. Made in Germany. Measurements: Heel Height: 1 1 2 in Weight: 1 lb 2 oz Platform Height: 1 2 in Product measurements were taken using size 41 (US Men~s 8-8.5, US Women~s 11-11.5), width Medium. Please note that measurements may vary by size. Weight of footwear is based on single item, not the pair. ~Gloria~ by David Tate&amp#174 is a single band sandal that provides good foot coverage. Beautiful leather upper featuring stitching detail that creates the look of a center seam. Side goring and a center V ensure an amazing fit. Leather lining and a padded insole cradle the foot in cushioning. Comfortable polyurethane wedge unit bottom is lightweight and flexible. Measurements: Heel Height: 2 in Weight: 7 oz Product measurements were taken using size 6.5, width WW (EE). Please note that measurements may vary by size. Weight of footwear is based on single item, not the pair. 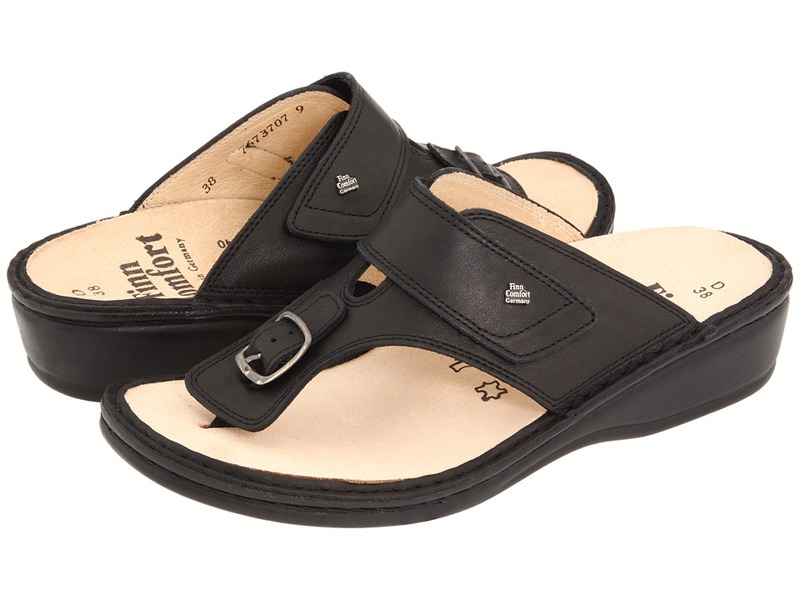 The Montreal sandal is from the Naot Cosmopolitan Collection, which runs as a Medium width. Rich leather upper with flower-shaped cutouts and inside goring for a flexible fit. Built-in arch support distributes weight evenly, ensuring all-day comfort. Shock-absorbing, suede-covered footbed absorbs moisture to keep your feet dry and fresh. Deep heel indentation helps the body balance and protects the heel bone. Flexible rubber, polyurethane, and latex sole provides long-lasting wear and non-skid traction. Footbed can be removed to allow for use of your personal orthotics. Measurements: Heel Height: 1 3 4 in Weight: 8 oz Product measurements were taken using size 38 (US Women~s 7), width M. Please note that measurements may vary by size. Weight of footwear is based on single item, not the pair. The Karaoke sandal is from the Naot Allegro Collection, which runs as a Medium to Wide width. Take your turn in the spotlight in the Karaoke sandal by Naot. Supple, natural leather upper with hardware accents and adjustable instep straps. Built-in arch support helps distribute weight evenly to ensure all-day comfort. Removable, shock-absorbing, suede-covered footbed absorbs moisture and can be removed to accommodate a custom orthotic. Lightweight polyurethane outsole provides long-lasting wear and non-skid traction. Measurements: Heel Height: 1 1 4 in Weight: 9 oz Product measurements were taken using size 38 (US Women~s 7), width M. Please note that measurements may vary by size. Weight of footwear is based on single item, not the pair. 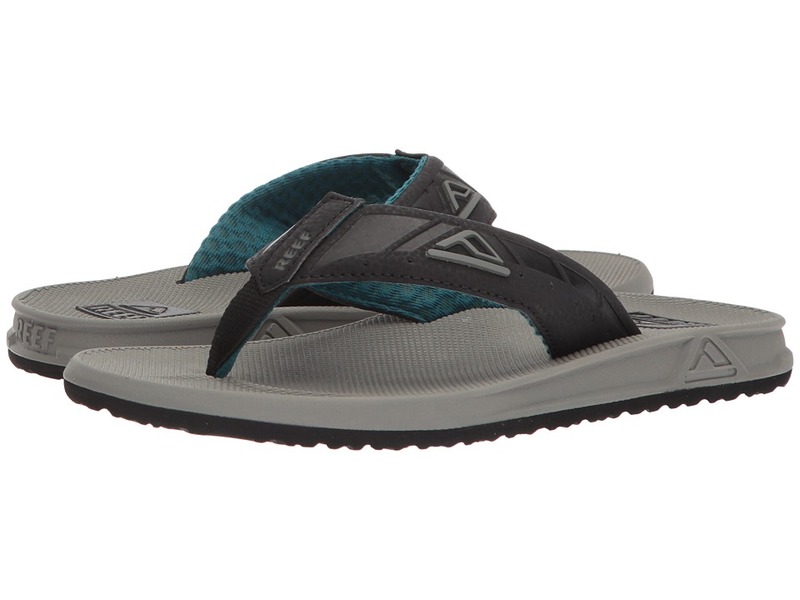 Make waves with the clean style of these Reef sandals! Soft, woven polyester narrow strap design. 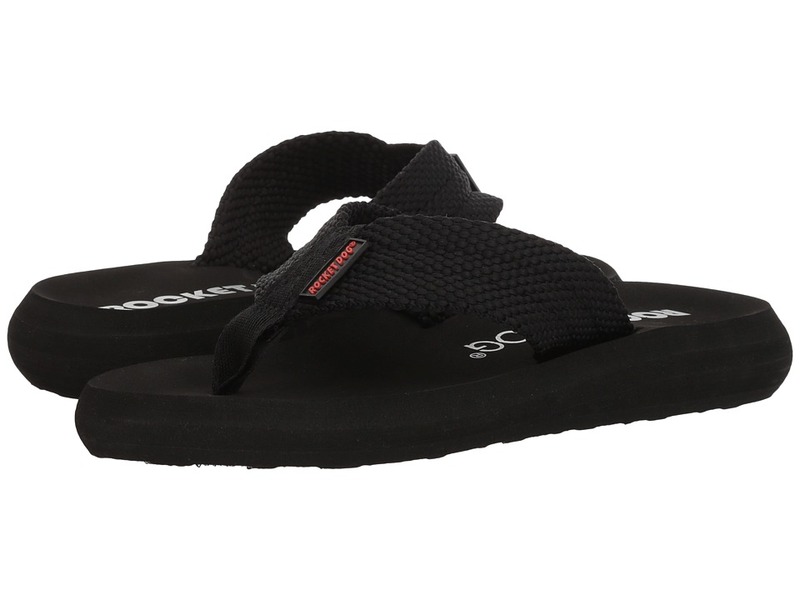 Reef-flex triple-density EVA construction with anatomically correct arch support. Durable, high-density EVA outsole. Imported. Measurements: Heel Height: 3 4 in Weight: 3 oz Platform Height: 1 2 in Product measurements were taken using size 5, width B - Medium. Please note that measurements may vary by size. Weight of footwear is based on single item, not the pair. Flip EcoTread flip flop is where quality meets simplicity with its durable construction, comfortable fit, and excellent traction. Polyester jacquard webbing upper with high-tensile webbing toe post. 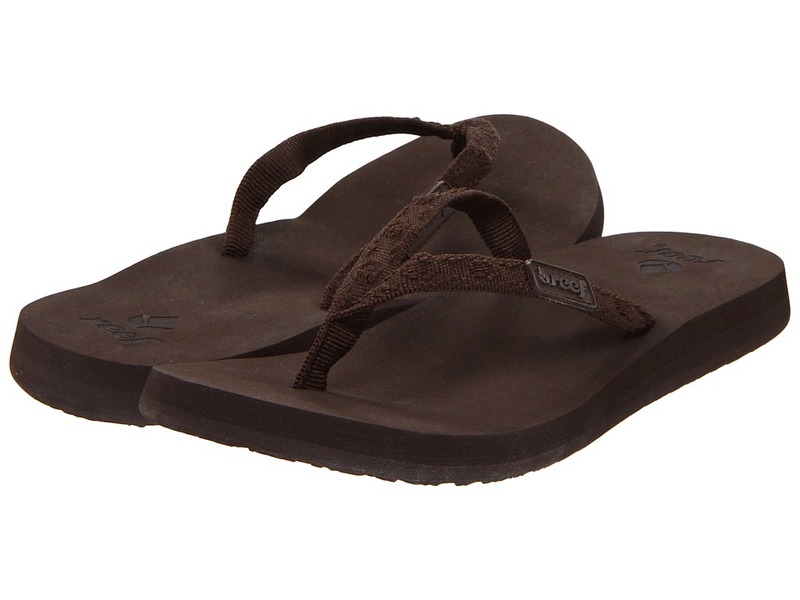 LuvSeat footbed and midsole provides long-lasting durability, reliable comfort, and arch support. EcoTread outsole is made from 25 percent recycled rubber to minimize the impact made on the environment, and is two-toned in either brown or grey to complement the new midsole colors. Heel riser increases lateral stability. Imported. Measurements: Weight: 10 oz Product measurements were taken using size 11, width D - Medium. Please note that measurements may vary by size. Weight of footwear is based on a single item, not a pair. This thong is carefree, simple and casual... and did we mention amazingly comfortable? Wide fabric webbing upper. Molded EVA footbed. Rubber sole. Measurements: Heel Height: 1 in Weight: 4 oz Product measurements were taken using size 7, width M. Please note that measurements may vary by size. Weight of footwear is based on single item, not the pair.